Sanctuary city mayors like Oakland, California, Mayor Libby Schaaf have responded to Trump’s threat by saying they plan to welcome any and all illegal aliens to their cities – even those cities that are struggling with rising homelessness. 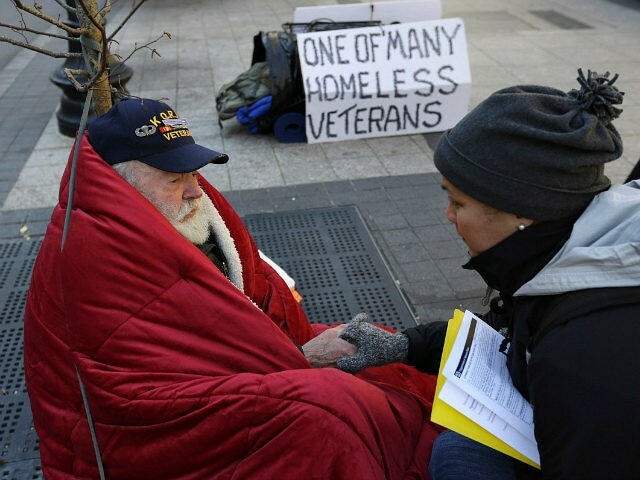 Currently, there are nearly 38,000 homeless American veterans across the country. As of 2017, there were more than 2,700 Oakland residents who were homeless – an increase of 25 percent when compared to two years before. In all of Alameda County, there are about 5,630 homeless residents. In all of California, there are nearly 130,000 homeless residents, including nearly 11,000 homeless American Veterans. In total, there are more than 550,000 American residents who are homeless nationwide. Meanwhile, the U.S. admits more than 1.5 million illegal and legal immigrants every year – the overwhelming majority of which are low skilled workers who compete for jobs against America’s poor, working, and middle class. The Washington, DC-imposed mass immigration policy drives housing costs up for Americans, economists have found.